The old saying refers to May blossom, of course, rather than the month, and May is most certainly out now. 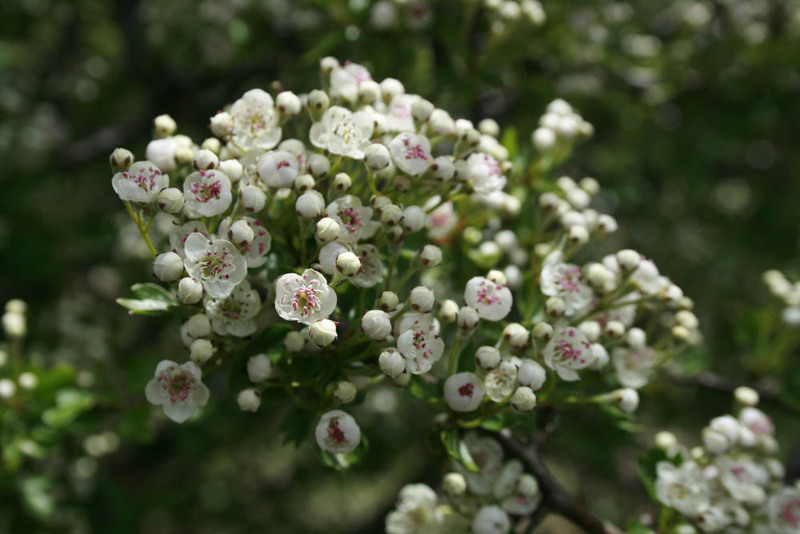 May blossom refers to the flowers of the hawthorn tree; the blackthorn produces similar blooms, but they come out before the leaves, whereas on hawthorns the leaves come first. The other difference is the scent: there is something heady and slightly worrying about the way May blossom smells, a hint of something rotting, or sexual – or both. Perhaps its fragrance is the reason it was thought unlucky to bring it inside. Perhaps it reminded our forbears, far more familiar with such things than we are, of death.